Dr Zamantungwa Khumalo is passionate about science, research, youth and rural development and is inspired by passionate, hard-working people who go the extra mile to assist others in their development. She is a medical scientist at the National Institute of Communicable Diseases and holds a PhD in Veterinary Science from the University of Pretoria. 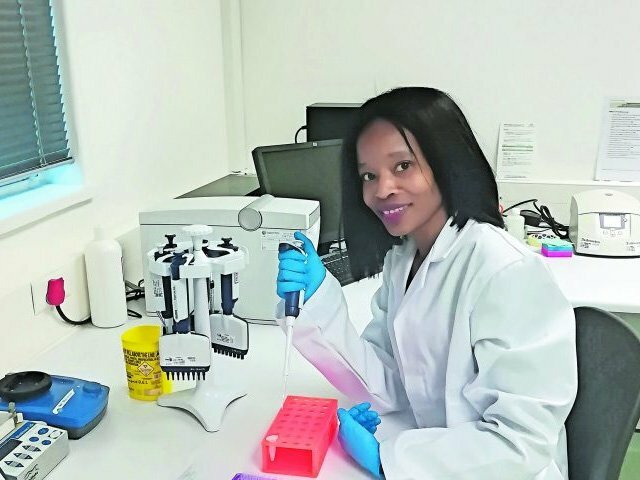 Khumalo was awarded the Best PhD Student award from the Department of Veterinary Tropical Diseases and elected as a candidate for the prestigious Angela Davies-Russel Award in 2017 under the Parasitological Society of South Africa. She also serves as an external examiner of a master’s student from the North-West University. She is the founder and chairperson of I am a Future Leader Youth Development Programme, a non-profit organisation. It aims to improve the lives of others through educational development and leadership programmes specifically targeted at high school learners from disadvantaged backgrounds. She is also part of the Apprentices Women Leadership, which since 2016 has recognised top matric learners and community builders in Bergville. Overcoming her own limitations and fully believing in herself is something she admits takes time. Looking at past achievements and future goals help her stay on course when times are rough. She aims to build a national career hub. Many young people do not know what career to choose or lack the tools and technology to realise it. Creating accessible opportunities for others is key for her. “The building will be built in a sense that all the entrances to the building represent the actual university. This is an idea I have in mind.